In the interests of having something to post about and developing my reviewing and critiquing skills, I’m going to try posting a book review from time to time. We’ll see how it goes. I’ll try to back up what my opinions with reasons. And I suppose it will be the rare book that I love 100%. 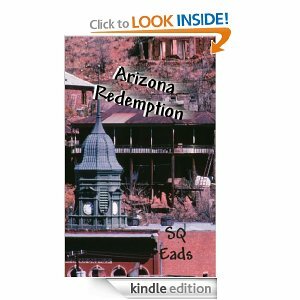 I recently finished Arizona Redemption by SQ Eads. I acquired it free from one of the several Kindle pages I follow on Facebook. Arizona in the title interested me. I assumed Redemption meant it would be Christian and I was right. The cover reminded me of Bisbee AZ where I spent three non-Christian months in early 1982, right before I met my husband and Jesus. Low and behold, it was about Bisbee and I was sold. Tori is on the run from San Diego with her sister, Bonnie, and an orphan, Carla, she rescued from the street a few years ago. They stop in Bisbee to use their last dollars for medicine for Carla’s severe cough. From there, Tori has no clue, no money, little hope, only determination to work hard to build a new, safe life for her scared sister and the little girl. As fate, or God, would have it, the first thing Tori sees is a shiny new dump truck about ready to tumble down the side of a small dirt cliff. She scrambles up to it and uses her heavy equipment skills from her last job to coax it back to safety. One of the co-owners, handsome Lance, is so grateful he offers Tori a job. She accepts. Sometimes, something like that happens in real life. Bonnie and Carla fall in love with Bisbee while waiting for Tori to do her truck thing. Tori and Lance are young, single and immediately attracted to each other. Tori is full of self-doubt based on her past, especially her recent past that has her running from police. Lance, is a serious Christian who loves to laugh. They become good friends on the job and spend time with Lance’s family and church, which Tori attends for Bonnie’s sake. Lance keeps praying for Tori who gradually comes to think maybe there is a God who cares for her. When the final bite from Tori’s past becomes evident to her, she makes a decision alone, but a church-related event reveals God more fully to her and she decides to trust him instead of going through with the choice she made. An accident at work reveals the situation to Lance and in the end Tori must decide to trust both God and Lance for a life she thought impossible for her, or continue to go it alone. I liked Lance and Tori. Tori’s determination to take care of her family is the driving force behind her actions. She slowly learns to trust. Lance, who had suffered a severe loss, found his joy again and was able to love. His faith and trust in God are what make him who he is. However, there seemed to be a lack of depth to them. They each have a little back story gives us what happened but there’s no emotional umph there. I feel like I observed them more than I experienced them. The other characters are very two-dimensional, or less. Eads used the third person limited. Thoughts were put in italics, which kind of bothered me. Especially Lances’s numerous prayers for Tori’s salvation which became repetitious. As did Tori’s thoughts of self-doubt. I was afraid, due to previous experiences with Christian fiction, that there would be a “Come to Jesus” moment where the whole gospel of salvation is laid out and the light goes in the non-believers soul. The light did go on in Tori’s soul in a quiet way. The combination of scripture, love from Lance’s church and desperation work to help her realize God’s love. I liked that so much better. 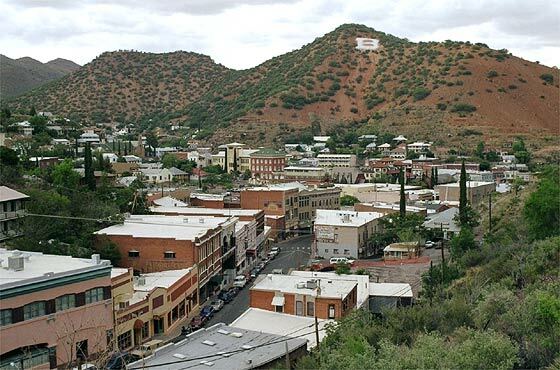 A mayor of Bisbee, the author’s father, is mentioned several times. While on a tour or town history was being spoken of, the mayor was mentioned in a manor I found intrusive. Maybe that goes along with some of the dialog I thought didn’t sound like the real way people speak. I really would have liked some more emotion. I would have liked to see Lance talk to Tori about how he was able to maintain his faith after the loss of his wife and son. I would have like to see Tori tell Lance her story of growing up on the streets and what lead her to marry Ricky. They mention these things to each other, but the effect was flat. It includes sketches of Bisbee by a local artist. I lived in an apartment building and a house on a hill below the big B.
It’s light read that I enjoyed. Even though I knew how it was going to end, I kept picking it up again. But for me, who likes things a little deeper and more intense, I’ll only go back to this author when I need something really light and airy.